We can protect your garden, crops, forestry as well as your pets, livestock and your home. Humanely dispatching pests is an important philosophy. Our specialist know-how can erradicate any of your pest problems. Our qualified and experienced staff operate with safety in mind at all times. Find us on Facebook for news, reviews and to see what we’re up to! Do you have problems with moles wrecking your lawn? 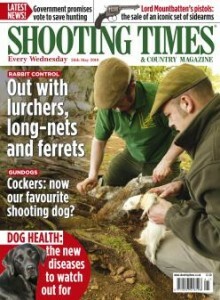 Rabbits devastating your garden or leaving sports pitches unplayable? Foxes fouling your garden or predating stock and pets? Rats spreading disease and damaging property? Deer eating crops or plants, or damaging forestry? Squirrels raiding bird feeders or getting into your loft? We are based in Cheltenham, Gloucestershire, but operate throughout the Cotswolds and adjoining areas. Get in touch to see if we cover your area. Do you want a swift, humane and effective resolution, by a qualified, professional gamekeeper, without the use of toxins? We can help! I’ve been shooting all my life, I was bought my first air rifle at the age of ten, so have grown up around guns, always with an emphasis on good gun handling and safety.When the time came to choose a career path, I decided that wildlife management was for me. I gained ‘A’ Levels and progressed to an HND in Game and Wildlife Management, which is equivalent to a degree but with an emphasis on practical skills. From University I went on to work on two different shoots in Gloucestershire, one a very small informal family shoot where I am still involved with deer management and pest and predator control, as well as helping out on shoot days and with rearing. My passion has always been in pest and predator control, so I have decided to make it my business on a full-time basis. My interests outside my work include longbow making and archery. I hold a national record that has stood for almost 10 years now, and still compete regularly with my self-made bows and arrows. I have recently been elected to the committee of my local club, Cheltenham Archers and I coach beginners to the sport with the club, both on our seven week beginner’s courses and on have-a-go events at functions such as Berkeley Joust and Tewkesbury Abbey Fete. I am also a keen angler, enjoying coarse fishing (especially for carp and pike), sea and game angling. Higher National Diploma in Game and Wildlife Management. This was a 3 year sandwich course at the Northern School of Game and Wildlife at Penrith. It included theory and practical studies of all aspects of wild and reared game management including pest and predator control, habitat improvement techniques, fish and fisheries management, and deer management. © JLL Pest Control 2013 All rights reserved. Email us. Check out the latest news and information on Facebook and Twitter.